What is the drying oven method? The drying oven method is a thermogravimetric method (loss on drying) in which the sample is dried for a defined period of time at constant temperature. The moisture content is determined by weighing the sample before and after drying and determining the difference. How are samples heated in the drying oven and in the moisture analyzer? In the drying oven, samples are heated by convection. This means the samples are at the same temperature as the drying oven. When using a moisture analyzer, the sample heats up and dries by absorbing infrared radiation from the heating element. The sample's temperature and drying time depends on its absorption characteristics. Isn't moisture the same as water? This is a common misconception. Everything which evaporates upon heating is named moisture. Water may be a part of this but there may be other substances which also evaporate, such as alcohol or solvents. I have many different samples (liquid, pasty, solid, powder). Which method should I use for moisture content determination? In general, all kinds of samples are suitable for both the drying oven and the halogen moisture analyzer. Which method is best for you, depends on how fast you need the result or if you need the result using an official method. Sometimes, for example, in goods-in or final product quality control, moisture analyzers are used in parallel with a drying oven. Fast analysis with the moisture analyzer is done to optimize processes and the drying oven is used for official documentation purposes. We have to use the standard method with the drying oven but using a moisture analyzer would really speed up our processes. Is it possible? Many industry regulations require manufacturers to follow a standard method. However, it is acceptable to use a moisture analyzer if you can prove its results are the same as those from the drying oven procedure and are of the same level of accuracy. This requires developing a drying method for the moisture analyzer and cross-validating it against the drying oven through a series of analyses. 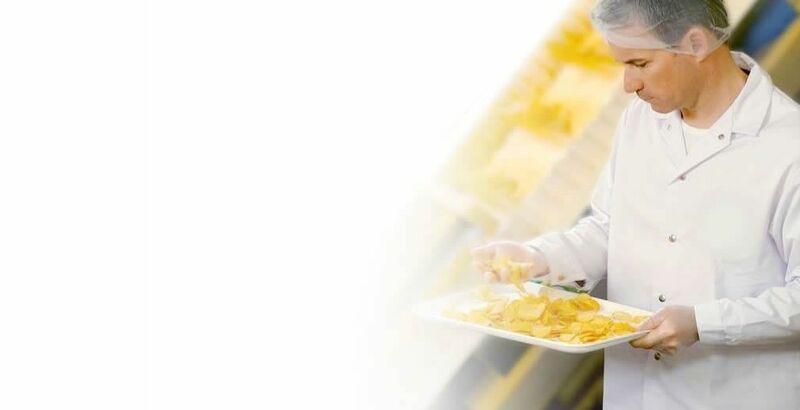 METTLER TOLEDO's application database contains over 100 free ready-to-use cross-validated drying methods. Contact us if you don't find what you need. How can I put the batch number on the printout from my moisture analysis? You can do this either through the ID management functionality on our moisture analyzers or in the differential weighing application on our balances. If your batch number is a barcode, you can even connect a barcode reader to scan it, or any other ID. I am using the drying oven procedure. How can I avoid errors when I'm recording results and doing calculations? Manual processes are more prone to error so it's best to use the built-in balance application or a software solution (LabX) with a balance to capture all the results and do the calculations automatically. It's not only much faster but it's error-free too. Results can be printed out for your lab journal or saved on a USB stick to be saved electronically. LabX saves everything in a secure database so you can be sure your data is safe. The LabX report generator enables you to create elegant reports with charts which can be printed out or saved electronically. How can I avoid my crucibles getting mixed up in the drying oven? Good labelling is key. Using barcode labels uniquely identifies each sample. A barcode reader attached to the balance ensures that no mix-ups occur and weighing results are correctly logged against each sample. Use of a barcode reader is fully supported by the differential weighing application on the balance and by LabX. What is the difference between moisture content, dry content and ATRO moisture? Moisture content is the amount of moisture in the sample given as a percentage of the sample's original (wet) weight. Dry content is the amount of solids which are left after drying given as a percentage of the sample's original (wet) weight. ATRO moisture (AM) is the amount of moisture in the sample given as a percentage of the sample's final (dry) weight. Different industries use different units e.g. in wood or pulp, ATRO is commonly used. What do TS and DC stand for? The loss on drying procedure can be used to determine moisture content (MC) or, alternatively, dry content (DC). A sample may undergo extensive drying to remove all the moisture. The dry content remaining may be termed the total solids (TS). Is there a difference between dry content (DC) and total solids (TS)? Dry content and total solids mean the same thing. They describe the amount of material remaining after all the moisture has been evaporated. Moisture content affects the processibility, shelf-life, usability and quality of a product. Accurate moisture content determination therefore plays a key role in ensuring quality in many industries including Food, Pharmaceuticals and Chemicals. Furthermore, the maximum permissible moisture content in certain products may be governed by legislation (e.g. national food regulations). Typically, moisture content is determined via a thermogravimetric approach, i.e. by loss on drying, in which the sample is heated and the weight loss due to evaporation of moisture is recorded. Commonly used moisture analysis technologies are the moisture analyzer and the drying oven in combination with a balance. Learn how the two technologies and how METTLER TOLEDO solutions help you to achieve accurate moisture results regardless of the analysis method you use. Using a moisture analyzer or a drying oven with a balance are both common methods for determining moisture content via loss on drying. The table below compares the two methods and provides an overview of the most important characteristics. METTLER TOLEDO offers moisture content determination solutions for both the moisture analyzer and the drying oven analysis techniques: Easy-to-use solutions address the most common challenges to ensure you achieve accurate results regardless of which analysis method you use. However, careful consideration must be given to select the technology which is best suited to your needs and application requirements. A moisture analyzer is perfect whenever it is important that the moisture content result must be available quickly. A fast result enables any required action to be taken rapidly and avoids lengthy delays. For example, to reduce waiting time until unloading raw materials in Goods-In Inspection or to enable fast intervention in the production process following an In-Process Control check. For some substances, the drying oven method is the official reference method to determine moisture content. As the official reference method, the drying oven is used for cross-referencing alternative methods such as the moisture analyzer. When you need a seamless process with few manual steps. Suitable even for untrained operators. The drying oven can be used when it is not necessary to have a fast result. The simple process and the automatic results calculation minimize errors. The drying oven is perfect when you want to process many samples simultaneously, particularly if there is no time pressure for the results. By demonstrating that moisture analyzer results are comparable with results from the drying oven, the moisture analyzer can be used instead of the official drying oven method. For very inhomogeneous substances, it is necessary to use a large sample size (e.g. 500 g). This is only possible with a drying oven. Determining moisture is a crucial step in ensuring quality of many products. Therefore, do not hesitate to ask for an advice! Our Expert Team is there to help you, whether you are looking to purchase a balance or a moisture analyzer, or struggle with moisture determination application. Contact our Expert Team and receive assistance you require. METTLER TOLEDO moisture analyzers enable fast, precise and reliable moisture analysis for quality control and in-process control applications. Robust and easy-to-use, these instruments offer long, reliable operation whether you work in a highly regulated pharmaceutical lab, need the highest resolution to measure moisture content in plastics, or take moisture measurements for food product quality control. Watch the video to learn more about moisture content determination with moisture analyzers. 3 simple steps to moisture content determination using a moisture analyzer. Our guide to moisture analysis provides information about the key points which are important for working with moisture analyzers and helps you to quickly, reliably and effortlessly determine moisture content. Moisture analysis using a drying oven requires the use of an analytical balance with typically 0.1 mg readability (0.0001 g). The main advantages of this method are that it is the official method mentioned in standards (reference method) and that multiple samples can be analyzed at the same time. As this procedure involves a lot of manual processes, the use of an intelligent balance with a built-in differential weighing application significantly reduces the risk of errors, such as those generated through incorrect handling, calculations or documentation. In addition to providing high weighing performance, METTLER TOLEDO analytical balances simplify the moisture analysis procedure with graphical user guidance, barcode scanning of sample IDs and automatic calculations and documentation. Step-by-step instruction on how to determine loss on drying (LoD) with a balance and a drying oven. When your moisture analysis application requires a high level of process security and data integrity, LabX laboratory software in conjunction with a METTLER TOLEDO Excellence analytical balance is the perfect solution. The loss on drying method is customized according to your precise needs and SOP requirements. When the application is run, LabX provides step by step user guidance on the balance. Each step requires verification by the user so you can be sure your SOP is followed precisely. You benefit from fully tracked samples, automatic data handling, customized reports and increased productivity. - Volumetric KF titrators determine water content from 100ppm up to 100%. - Coulometric KF Titrators are suitable for samples with water content from 1ppm up to 5%. Thermogravimetric Analysis (TGA) is used to quantify the composition of any substance from room temperature up to 1600 °C. METTLER TOLEDO offers a variety of high performance TGA solutions, including a sample robot for reliable, unattended operation which can be used in a wide variety of applications. This white paper describes in detail how the drying oven method can be replaced by the halogen moisture analyzer method. Our pharma excipient method collection provides moisture methods for the most common excipients and compares them to the drying oven method. How To Measure Moisture Content In Plastic Pellets? Guidance on how to measure the moisture content in plastic pellets using the HX204 moisture analyzers.